It is a fact that most people are more inclined to watch something as opposed to read it. By utlising the power of web based video, individuals are able to reach a wider audience and more targeted audience who want to see what you have got to say. The massive growth of viral websites such as YouTube and the onslaught of social networking and blogging has meant the power of the web based video is limitless. So how do you make sure that your video is not just another one of those watch and forget videos?. Here at NisusHD we use a mix of modern video production techniques and footage to leave a lasting impression on your target audience and to get them talking and sharing it with others. More and more often web based videos are beginning a featurerement on the homepages of most organisations who have clearly thought about how to engage with their clients before they have even had chance to read the content on the page. The beauty of web based video is that it can be kept relatively low cost and distributed through many channels thus increasing its impact and value. 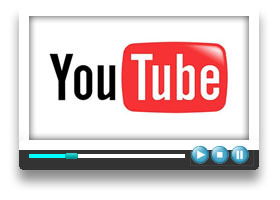 NisusHD produce web based videos that help you to stand out from your competitors. In such a huge viral network for videos, is this something you can choose to ignore?. If you have an idea for a web based video that you think may be beneficial to you then please do not hesitate to give us a call and we will help you to turn your ideas into effective web based videos.